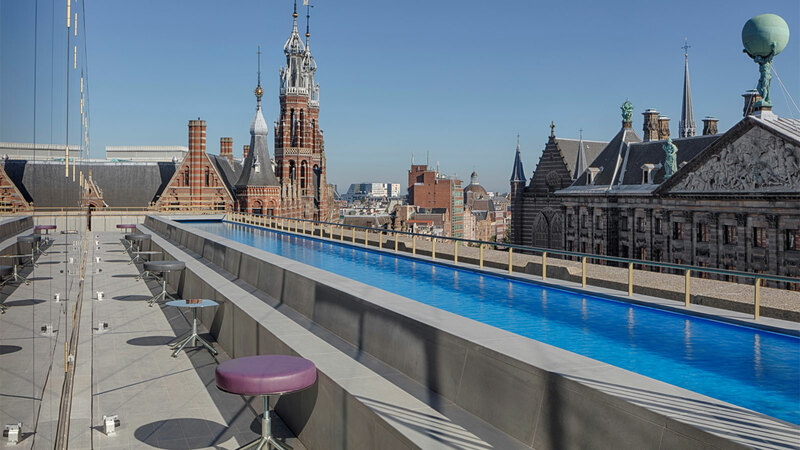 Step inside W Amsterdam and go straight to the top and check in at our rooftop W Lounge. Experience the innovative design and luxury of our 238 stylish guestrooms, including 23 suites, three WOW suites and two lavish Extreme WOW Suites. Located near Dam Square, W Amsterdam is right in the heart of the city, just steps from the iconic canal district with its vibrant restaurants, bars and nightlife scene, and an easy stroll to the boutiques of the 9 Streets district. If the nightlife and shopping is not enough, get your culture fix at the Rijksmuseum, Van Gogh museum and the historical heart of the old town. Not sure what to check out first? Be sure to meet the W Insider, our very own in-the-know tastemaker, here to connect you to what’s new/next in Amsterdam. Our signature Whatever/Whenever® service is here for you 24/7 for anything you might need. Whatever you want. Whenever you want it (as long as its legal).